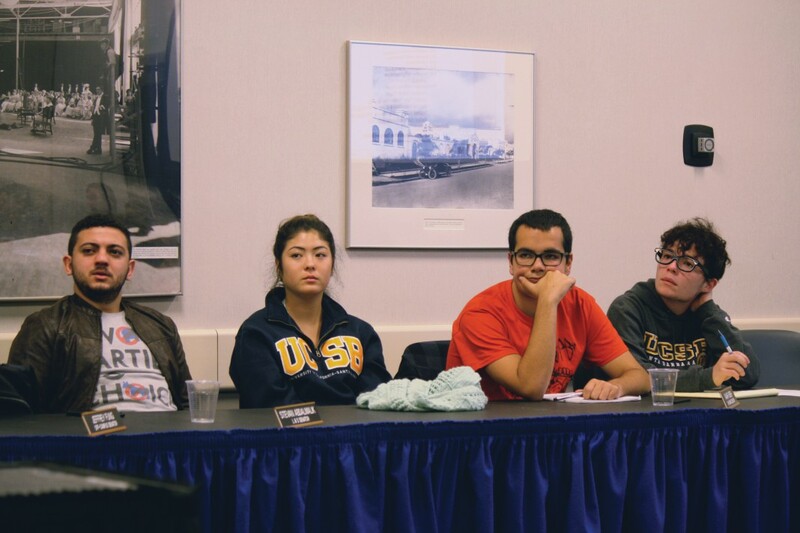 Representatives from the University of California Student Association (UCSA) and United States Student Association (USSA) discussed the Student Advocacy Governance & Engagement (SAGE) proposal at the Nov. 4 Associated Students Senate meeting. Senators expressed a variety of concerns, including the state of lock-in fees at the University of California, Santa Barbara and the relevancy of UCSA to students on the campus. UCSA is a student-run board which advocates on behalf of UC students for various student issues, including tuition hikes, discrimination and much more. Each UC’s student government/Associated Students pays membership fees, and the external vice president of each government sits on the board. While UC Irvine’s Associated Students belongs to UCSA, UCLA’s Associated Students and UC San Diego’s Graduate Student(s) Associations do not. At UCSB, undergraduate students currently pay a $2.55 lock-in fee per quarter ($2.43 in the summer) for membership in UCSA. UCSB pays approximately $149,805 into UCSA, which, for some, has been a point of contention. Of all of the UC student governments who belong to the association, UCSB’s undergraduate student government pays the most in fees. UCLA’s undergraduate assembly clocks in at a distant second, contributing $83,226 in fees, according to their 2015-2016 budget. In a document from UC Irvine’s Associated Graduate Students, UCSA collected $461,466.57 in fees from UC student governments in 2014, making ASUCSB’s contribution (a similar figure to the 2015 fees) over a quarter of this amount. 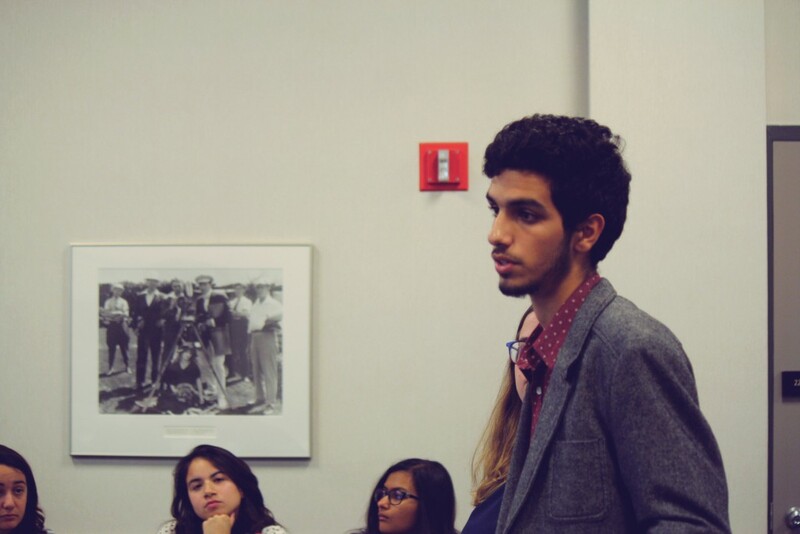 However, all the UCs are represented equally on the board — UCSB holds two spots on the board, filled by AS External Vice President of Statewide Affairs Mohsin Mirza (who also serves as UCSA’s Undergraduate Committee Chair) and Graduate Student Association External Vice President Yanira Pineda. At the Nov. 4 Senate meeting, UCSA Communications Director Anaïs LaVoie, in conjunction with Mirza, brought the SAGE proposal to the table. SAGE tackles a number of problems with UCSA at the moment: “poor representation and fallout from controversial decisions, […] associations pay different dues (or none at all), budget unpredictability, restraints on staff retention and dues stagnation over time,” according to a presentation given at Senate. With the new proposal, UCSA would pass the decision of whether or not to fund the schools’ chief source of organized advocacy to the students via a quarterly referendum, rather than leaving the choice up to the student governments. SAGE would allow a campus to withdraw from its seat at the table, but fees would still be collected systemwide, according to LaVoie. UCSA is currently working with UC President Janet Napolitano to adjust the language of the proposal in accordance with California law. External Vice President Moshin Mirza urges Senate to support the SAGE proposal during his report. As inflation increases, the minimum lock-in fee of $1.30 per quarter/semester at each UC makes it difficult for UCSA to maintain its budget. The fees would go toward conferences, more technology and increased access to UCSA, according to their website. Students would pay roughly $4-6 per quarter, added on top of high AS lock-in fees that, according to USSA Transfer Student Caucus Representative and fourth year sociology and anthropology double major Zaher Akl, are the highest of all the UCs. In the past, various UCs have refused to pay UCSA dues, retaining seats on the board while representatives advocated for students from all UCs. Akl also pointed out that UCSB students pay only $9,067 for membership in USSA, which also advocates for students in higher education, and that the structure of UCSA is not as transparent as it seems. In his view, funds going toward UCSA could be better appropriated for changes directly affecting the campus or Isla Vista. College of Letters & Science Senator Stevan Abdalmalik and Off-Campus Senator Akshaya Natarajan originally authored A Resolution in Support of the UCSA Student Advocacy, Governance, and Engagement (SAGE) Proposal for the meeting, but took it off the agenda soon before Senate began. “I’m not fully for it as it stands; it takes away the student body’s autonomy,” Abdalmalik said. There are concerns that UCSB students would choose to opt out, but according to LaVoie, only eight to ten percent of students in the community college and CSU systems in California wished to do so. When students opt out, according to Mirza, they have concerns that they want to be heard, rather than truly wanting to opt out. Mirza and some senators intend to plan a SAGE town hall in order to garner more student interest, and hear various opinions about student representation at UCSB.